As you’re probably aware, Council are deep into the process of reviewing the existing constitution with the aim of amending and updating it to reflect more modern and effective governance practice. To this end, several questions largely around Council structure form and term of office have been raised within recent Compass Point and O-Club newsletters. In an attempt to produce more clarity around the subject and aid you with your understanding of the subject, a few potential examples of what Council could resemble are highlighted within this paper. The discussion below attempts to explain why we need to change the Constitution, point out the differences between the existing Council structure and other potential alternatives and highlights who and what would disappear if a change was brought about. 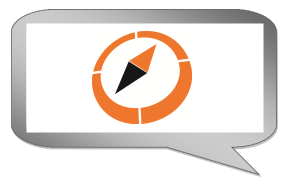 How do we meet today’s best governance practice? prevailing governance processes are not making the best use of the valuable time and capabilities of volunteer directors or the staff who support them. Consequently, good, well-motivated people cannot perform to their capacity, nor can their organisation benefit from the potential of focused and proactive governance leadership. While ONZ was not part of this review, the report highlighted many issues which ONZ is facing. The present Council structure represents a management “hands-on” structure more focused on operational issues rather than providing governance. A more modern form of Council is focused on governance which would see the most suitably skilled candidates elected to sit on Council and address policy and governance issues. The operational side of the sport would be left to be run by the clubs themselves with support of the ONZ staff and committees who can provide technical knowledge and procedures. Our sport, like others, is evolving and facing increasing challenges around new issues (health and safety, conduct, doping, sports betting) as well as security and terrorism threats when travelling overseas. This requires a good comprehension of policies and how they affect and impose on individuals. Why change something which is apparently working satisfactorily? There are some anomalies with the present system which sees Council composed of a President and Vice President elected annually and four Area Representatives (Auckland, Central Districts, Wellington and South Island) with varying terms of office and membership representation. Taken to an extreme, we could have a situation where the President and VP are elected at the AGM due simply to being in the wrong place at the wrong time and Area Reps who are in the position as nobody else will stand. Just to reassure you – we don’t recall anything like this happening in the past and this is certainly not the case with the present Council who work admirably together and provide a wealth of sport and business knowledge to guide and direct our sport – but our structure currently allows for this to occur. So what alternatives are available for consideration? The Council would like to move away from the present method of elections and provide for a more democratic process whereby Council members are elected either by members directly or by clubs. We also feel the current President and Vice President roles should be removed and replaced by newly elected Council Members. We do recognise the importance of having a Chair to lead our sport and council, but believe the Chair should be elected by the incoming Council. There are lots of different models which could be proposed but after much consideration the Council believes the options presented below are representative of current best practice. Four possible alternatives are shown below. These diagrams show the positions on Council, who elects them and in the case of the existing Council – who they represent. 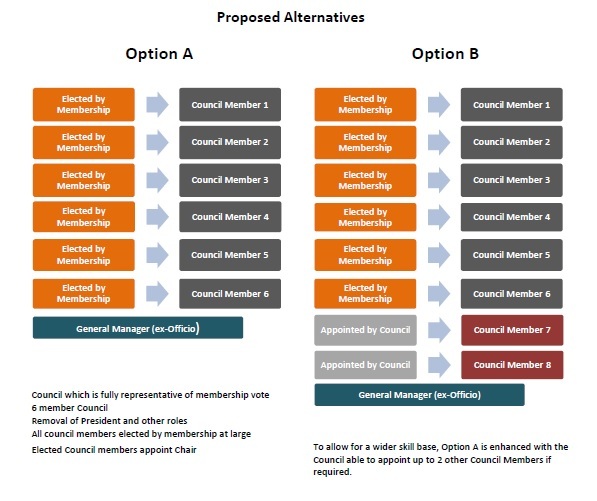 Two alternatives are significantly different from the current Council in that nominations would be sought for suitable candidates and they would be elected by the membership at large, and two whereby the clubs elect the Council members. As mentioned above, the incoming Council would then elect the Chair. Options B and B1 go a little further. They recognise that if a particular issue may necessitate certain skills which may not be available within the body of the elected Council, or if there is a perceived geographical imbalance of Council members, the Council could appoint up to 2 additional members. 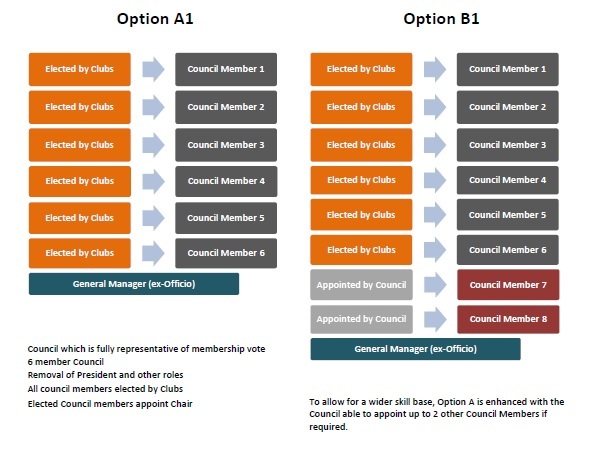 Options B and B1 also assume the Chair of the new Council will come from the initial six elected Council members, however, this does not preclude an appointed Council member from becoming Chair if their skills sets and qualities are compelling. 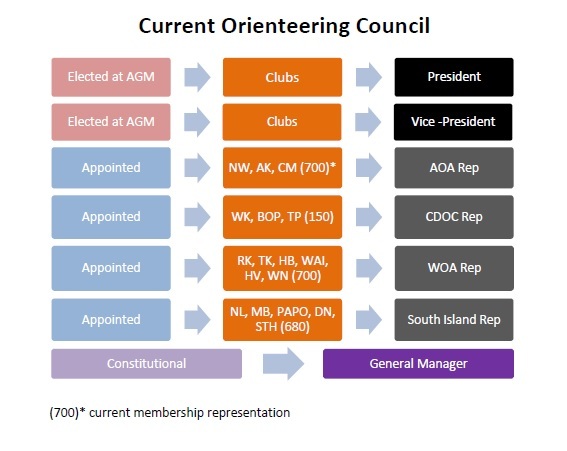 Also the appointed Council members would not necessarily have to come from within the sport of orienteering so as to offer an alternative viewpoint and wider perspective if required. While the loss of Area Reps may imply the direct link with ONZ could be lost, the Council believes clubs are now well positioned to manage their own affairs and events, can still utilise the network of neighbouring clubs for event coordination and delivery, as they do so effectively today. So what do we want from this Discussion Paper? ONZ is seeking your views around the Council restructure. We are eager to understand clubs or individuals views on how you perceive the existing process works and whether these alternative forms of Council would be better suited to meet your needs and govern our sport. Potential alternative forms of Council have been raised for your consideration and we would particularly appreciate comments relating to these. We would like to put this to the AGM for their consideration. We are governed by our existing Constitution which requires remits to be tabled 12 weeks prior to the AGM (which this year is before Christmas 2015)! Consequently, we have to have everything completed by this time. To allow for further revisions and consultation, we would like to have your comments back to us by Friday 9 October 2015. Whilst realising that this is a relatively short time frame, clubs and individuals will have further opportunities to provide feedback as changes are made and further consultation is sought.